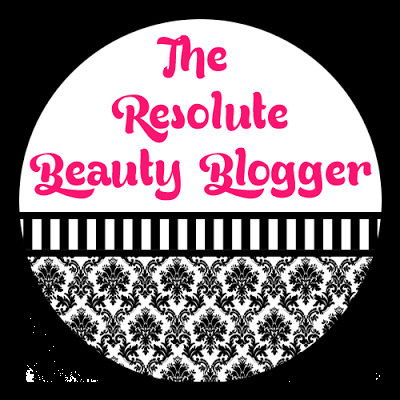 Welcome to the April updates of the beauty blogger resolution series called the Resolute Beauty Blogger. Today I will be giving updates on the goals I set for myself back in January. 1. Increase my Twitter and Bloglovin followers by 20 per month. April Update: I surpassed this goal. I increased Twitter followers by 136 and Bloglovin followers by 46 between March and April. 2. Keep track of my blog's monthly stats. April Update: I kept track of my monthly blog stats using the table that I discussed in my January post. 3. Participate in 1 tag per month. April Update: I participated in the "Would You Rather Beauty Tag" and also a "Spring Lip Trends" collaboration. 4. Do not do more than 3 hours of blogging relating "stuff" per weeknight. April Update: To be honest, there were many nights that I was up till around 1am watching YouTube vidoes. Ugh. 5. Come up with a weekly or monthly series for my blog. April Update: I've been continuing my "Frugal Fridays" series. 6. Do a tutorial, Face of the Day post, or a "tips" type post once a month. April Update: I had to do a full face makeup shot and a sort-of tutorial in the "Spring Lip Trends" tag. 7. Don't be so self-conscious of posting full face pictures of myself. 8. Make my blog look more personal. Add a pretty background, a cool header, etc. April Update: Sadly, I've made no progress on this. I will try to do something about this in the next few weeks. I actually really need to make some business cards so that will be the first thing I will be working on. ShopLately - Where Have You Been All My Life? ?